Cd. 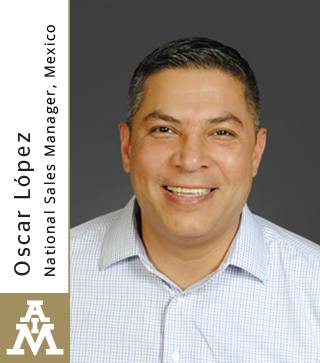 Juarez, Chihuahua, Mexico – AIM Solder, a leading global manufacturer of solder assembly materials for the electronics industry, is pleased to announce the appointment of Oscar López to the position of National Sales Manager, Mexico. Based in Ciudad Juárez, Oscar may be reached by phone at +52 656 148 89 01 or by email at [email protected].